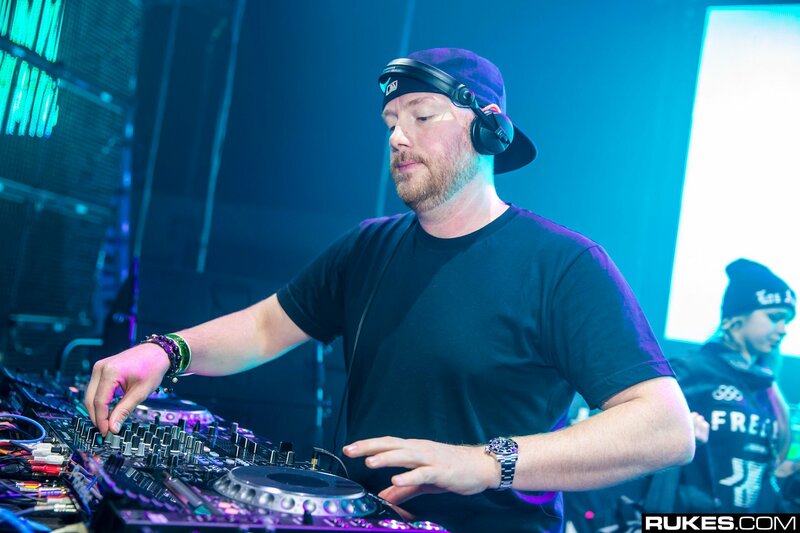 Eric Prydz, also known as Cirez D and Pryda is a disc jockey, music producer, and a recording artist. It is very likely that his name is more popular than his face as he has an uncanny aversion to all forms of publicity coupled with the fact that he rarely appears in his own music videos. This Swedish-born music star came into the international limelight when his platinum-certified hit single “Call on Me” was released in 2004. He dropped another international hit “Proper Education” in 2007 which earned him a Grammy nomination followed by another chart-topper, “Pjanoo” in 2008. After a long wait, Prydz blessed his fans with the release of his first studio album, Opus, in February 2016. This multi-talented music star has won several well-deserved accolades in the course of his career including the DJ of the Year Award at the 2017 Electronic Music Awards. Eric Sheridan Prydz was born on July 19, 1976. He was born in Täby Municipality in Stockholm County, Sweden. He started making music at the turn of the century but he remained under the radar until 2004 when he dropped the dance music track “Call on Me”, a sampling of the 1982 song “Valerie” by Steve Winwood. “Call on Me” was a massive commercial success making its way into international music charts both in Europe and in the US. It was No. 1 on the UK singles chart for 5 weeks and also topped the German Top 100 for 6 straight weeks. Strangely, Prydz distanced himself from the popularity that came with his breakout single and it is said that he has stopped playing the song at his shows. In 2006, he began working on another single “Proper Education”, a remixed version of the 1979 song “Another Brick in the Wall, Part II” by Pink Floyd. “Proper Education” was met with massive commercial success after it was released internationally on January 1, 2007. The song topped the Billboard Hot Dance Club Play chart as well as the UK Dance Albums Chart. It ultimately received a nomination in the best-remixed recording category at the 50th Grammy Awards. In August 2008, Prydz dropped another hit single “Pjanoo” which topped the UK Dance Chart for 10 consecutive weeks and also peaked at number 2 on the UK Singles Chart. However, he could not replicate this level of success with his subsequent song releases – “2Night” (2011), “Niton (The Reason)” (2011) and “Every Day” (2012). In May 2012, Eric Prydz released an 11-track compilation album, Eric Prydz Presents Pryda, a compilation of songs he had recorded between 2004 and 2008 under the moniker – Pryda. He commenced work on his debut album in 2014 but while at it, he released three EPs in 2015; Pryda 10 Vol I, Pryda 10 Vol II, and Pryda 10 Vol III. Prydz’s highly-anticipated debut studio album, Opus, was released on February 5, 2016. The album was made up of 19 tracks including “Every Day”, “Liberate”, “Generate”, “Opus” and many others. The album went on to top the UK Dance Albums chart as well as the Billboard Dance/Electronic Albums chart in the US. It equally charted on the US Billboard 200. Among his recent efforts is the EP Elements which was released in May 2018. 1. In addition to releasing his own original songs, Eric Prydz has also recorded remixed versions of a countless number of songs including Michael Jackson‘s “Thriller” and Calvin Harris‘ 2009 single “Flashback”. He collaborated with the British band CHVRCHΞS on the single “Tether” which was released in 2015. 2. Eric Prydz was a member of the music supergroup “Swedish House Mafia”, a group of Sweedish DJs. Prydz and the other members of the group – Axwell, Steve Angello, and Sebastian Ingrosso regularly performed together during the mid-2000s and the name “Swedish House Mafia” was first coined in March 2007. 3. When the group decided to officially adopt the name in November 2008, Prydz opted out of the group. However, he has collaborated with different members of the group on several projects. 4. Eric Prydz operates 3 record labels; Pryda, Mouseville Records, and Pryda Friends. On Pryda, he releases music as Pryda while on Mousvulle Records he releases his music under the alias “Cirez D”. 5. He was named the DJ of the Year at the inaugural Electronic Music Awards held in September 2017. The Sweedish-born music star was also nominated for the Live Act of the Year Award. 6. Prydz resides in Los Angeles, California. He is said to have a fear of flying and consequently, most of his touring is done via road transportation.